So, the Shichon is a rather small breed of dogs and is a hybrid dog, but it is also called a designer dog, these being the most common names. Some people also call it a Zuchon, while others found a more exotic name, calling it a fuzzy wuzzy. The physical traits can be more like one parent’s or the other, so can be inherited from either of them. Usually, the Shichon has a double layered coat, with the one at the base being soft and silky and the outer coat being fluffy and curled (but in a loose pattern). Due to the very little or no shedding at all sometimes, the Shichon breed is considered hypoallergenic, making it a good option for people with dog allergies. The colors the Shichon coat can bear are several, also depending of what they inherit from the parents. A lot of these dogs inherit the white color from the Bichon Frise side of the bloodline, but Shih Tzu colors are also passed on to the Shichon puppies as well. 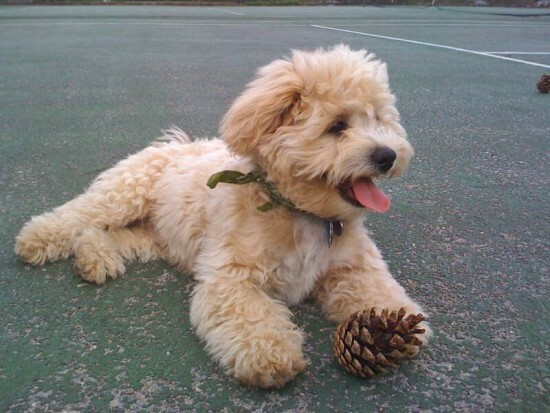 Some of the best qualities in the parent breeds, the Bichon Frise and the Shih Tzu have been passed on to the Shichons. They are very active, alert and playful dogs, while being extremely fond of people, towards whom they manifest affectionately. Shichons become very attached to the families they are a part of and they will suffer each time they are isolated from them. With proper socialization from an early age, this breed is excellent in relationship with other pets. They get along well with children, too, but it is required to supervise their interactions in order for the Shichons not to be hurt unintentionally, given their small size. The Shichon is an intelligent animal, with a bold and independent personality. They adapt well to many environments and lifestyles and due to their intelligence are also highly trainable. They are friendly in nature, but they also have quite good watchdog abilities, which they will manifest through barking, alerting the family when they sense the approaching of strangers. However, the Shichon is not a problematic barker. The usual life span for a Shichon is around fifteen years, but this is in normal health and care conditions. The hybrid status of the breed ensures fewer health issues than both parent breeds, but this should be no reason for not thoroughly looking into the health records of both Bichon Frise and the Shih Tzu, in order to understand potential conditions of the Shichon. From a maintenance point of view, there are no significant issues. Shichons manage to do most of their daily exercise dose by themselves. However, they will always enjoy being taken out by their people, to play, run and walk, but this needs to happen with proper supervision. Regular brushing is recommended for maintaining the coat in a good condition, while bathing is only occasionally required. The ideal scenario for Shichons is to live indoors, among the people they love, but also with access to outdoors where they can play and exercise. They don’t adapt very well to living exclusively outdoors, but they will feel very good in apartments especially because they are small and can be easily cared for. Also the lack of excessive barking and their tolerance for other pets and children recommends them for such environments, while also making them excellent companions. They will suffer if they are left alone frequently for longer periods, as they are very sociable and like to share their time and affection with their families. Intelligent animals, they are trainable and always eager to learn tricks so that they can please the beloved ones. Therefore training is not required because the Shichons have a poor behavior which needs corrected, but because they are intelligent and need and like to be challenged. 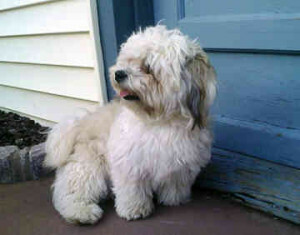 This entry was posted in Bichon Frise Mix, Shih Tzu Mix. Bookmark the permalink. Have you ever seen a Shichon breeders with a Pomeranian? Do you think they will shed much? I’m currently thinking of getting one from my sister who has the Shichon momma. Cutest pups ever! !